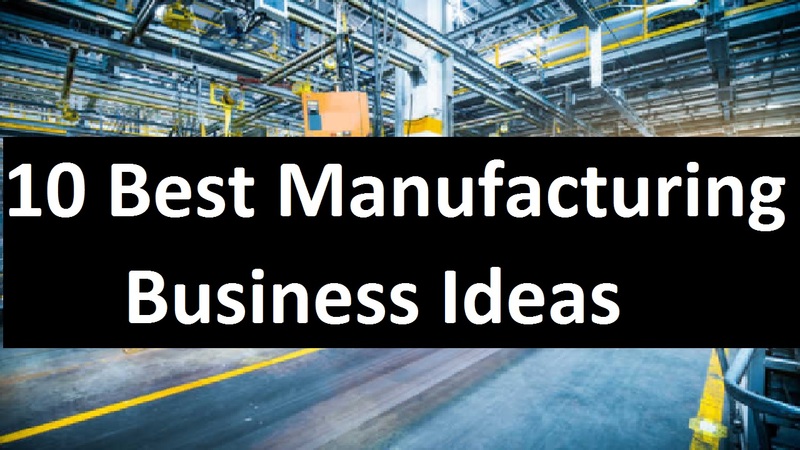 Are you looking for the best manufacturing business ideas? Here are 10 best ideas you may like. One of the important elements that drive the economy of any developing country is the manufacturing business. Depending on the solid foundation of the manufacturing sector, developed countries are economically strong. Without any doubt, the manufacturing business is a wide industry. All most all top industries depend on manufacturing industry for their proper creativity. For example, medical industries depend on manufacturing industries for equipment and medicine. Alike, the agriculture industries depend on manufacturing industry for equipment, chemicals, and other tools. If you want to start a manufacturing business, you can consider the option of starting on a limited size production. You can start this business by making essential components for various industries. If you if you are ready to start a manufacturing business, 10 best manufacturing business ideas are given below. Medicine manufacturing is a profitable business idea. If you are related with pharmacy business or a doctor you can start this business. You can start this business by manufacturing various generic and non-generic medicine. License are must be needed to start this business. Electric bulbs and other fittings are needed in any place in the world where there is electricity. This is the concept of a competitive business. You would not need to worry much if you are creative with your production. You can start this business by producing scented candles. It is a growing business idea. You can manage your business by manufacturing colorful candles for a wedding party, birthday party etc. You can start this business easily with a candles making a machine. Manufacturing of tissue paper is a good business idea. Right skills, attitude, and personality are needed to start this business. Must have the necessary skills about tissue papers making the machine. You can start jute bag making business with a small investment. It is a home based business idea. Making jute bags is a simple job. To start this business you need to machine for cutting and sewing. A computer is an essential element for official work. So computer stationary is very much needed. There is a large market for computer stationary around the world. It is a growing business idea. You can start this business by manufacturing various computer stationaries such as mouse pads, keyword covers etc. Initially, the targeted market for business is local computer stores. Optical Frame business is a fast growing business idea in manufacturing business sector. You Can start this business by manufacturing of optical frame, wood sunglass frame etc. To start this business you need a machine. There is a possibility of profit in this business. Furniture is an essential element for every office. You can start this business by making various furniture such as chairs, tables, shelves etc. of wood. You can sell this furniture easily in office or shops. To start this business you need to proper skills about carpentry work. A kitchen utensils manufacturing is an evergreen business idea. If you want to start a business in manufacturing business sector, you can consider the kitchen utensils manufacturing. If the main income of your country’s people is agriculture then you can start an agriculture-based manufacturing business like fertilizers. It is an easy business idea for any entrepreneurs. Entrepreneurs can manage this business by manufacturing generic and non-generic fertilizer.